It's the Best Of The Lens 2018! 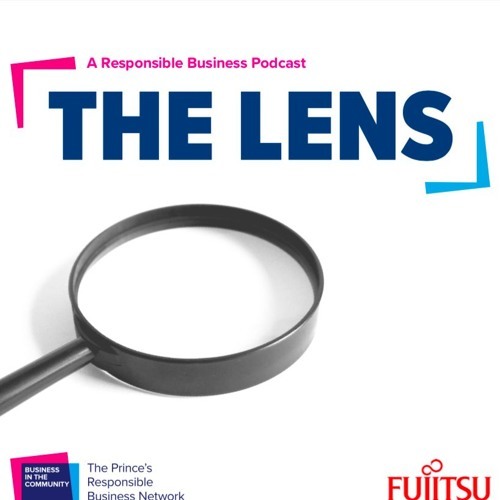 Speakers featured in the episode are (in the following order with links to the full episode): Duncan Tait - Fujitsu: http://po.st/TheLensE8 Amanda Mackenzie - BITC: http://po.st/LensE1 Dame Inga Beale - Lloyds of London: http://po.st/LensE7 Charlotte Evans - Axis Capital: http://po.st/LensE7 Ashok Vaswani - Barclays: http://po.st/LensE6 Charlotte Blackmore - Fujitsu Graduate: http://po.st/LensE6 Scot Gardner - Cisco: http://po.st/TheLensEp10 Jacqueline de Rojas - TechUk: http://po.st/TheLensE5 Hannah Stanley Jones - Anglian Water: http://po.st/LensE1 Lorena Puica - I am Y I am: http://po.st/TheLensE11 Ivan Beckley - UCL Masters student and Limitless Founder: http://po.st/LensE4 Dame Vivian Hunt - McKinsey: http://po.st/LensE4 Dame Helena Morrissey - Legal and General: http://po.st/TheLensE9 The Lens is a Business in the Community podcast exploring responsible business in a digital age, powered by Fujitsu and supported by McCann. Business in the Community is The Prince’s Responsible Business Network. We exist to build healthy communities with successful businesses at their heart.